The smallest variant of the S10 will not be called the S10 Lite. The reveal of the Galaxy S10 family of devices is less than a month away and we are getting new information about the upcoming flagship from Samsung. The new information comes from GSMarena. The leakster says that the information comes from a Samsung representative who has worked on the Galaxy S10 prototypes. The first thing to note is that the smallest variant of the S10 will not be called the S10 Lite. It will be called the S10. 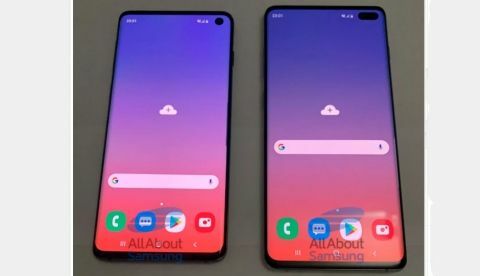 If you recall, information circulating the internet suggested that the S10 will launch in three screen sizes, 5.8-inches, 6.1-inches and 6.4-inches. Now it seems that the 5.8-inch and the 6.1-inch will be called the S10 and will sport similar internals. There will be an exception in the form of a premium variant of the S10+ which will sport 12GB RAM and a whopping 1TB storage. Speaking of the opticas, the 6.4-inch S10+ will house a triple rear camera setup along with two selfie cameras in the front. The other two sizes of the S10 will sport a single selfie camera in the front. When it comes to the rear cameras, the 6.1-inch varnat will have a triple rear camera whereas the 5.8-inch model will have a dual-camera setup at the back. When it comes to the colour options available of the S10 family of devices, they will be available in Black, White and Sea Green options. It is expected that some of the models will have specific colours like Blue and Yellow. It is also expected that all the three Samsung smartphones will go on sale on March 8 after their reveal on February 20. All the S10 variants are expected to launch with the company’s One UI and will house the endangered headphones jack. Other information about the Galaxy S10 is that there will be a 5G variant of the smartphone with a different battery capacity. The battery capacity of the 5G variant of the smartphone is expected to be 5000mAh. The S10 family of devices are expected to house a punch-hole camera in the front. Samsung flagship smartphones did not embrace the notch in 2018 but it looks like they may embrace the punch-hole camera design to make room for a better screen to body ratio and shave off some bezels from the device. Other information on the internet suggests that the phones will come with Samsung’s cryptocurrency wallet called the Samsung Blockchain KeyStore. The cryptocurrency wallet will show support only for Ethereum, an open-source, public, blockchain-based platform. Whether Samsung announces support for other popular cryptocurrencies is something we will only know at the launch event. Speaking of other offerings from Samsung, the South Korean tech giant has said that it will launch its foldable smartphone in the first half of 2019. In an interview with Digital Trends, Suzanne De Silva from Samsung categorically said “first half”. Whether details of the foldable smartphone are announced alongside the S10 is something only time will tell. Till now Samsung has revealed very little about the foldable device. What we know is that the foldable smartphone uses Samsung's Infinity Flex Display. The display mesures 7.3 inches and sports a 1536 x 2152 pixel resolution. It has an aspect ratio of 4.2:3. This aspect ratio is when the display is not folded. When folded, the device has a 4.58-inch display with a 840 x 1960 pixel resolution sporting an aspect ratio of 21:9.